Looking for affordable and professional dentists in Los Algodones? But most importantly: For us you are not just one more client, you become a member of our big family. With us, you will feel at home. Are you ready to enjoy all your favorite foods and to have a beautiful smile again? 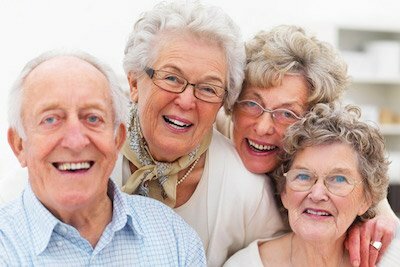 In Dental Solutions, we offer you the best treatments you need to regain your smile. All-on-4: Our stellar treatment, done by one of the most knowledgable Doctors of Dental Surgeries in the field: Xochipilli Bojorquez. 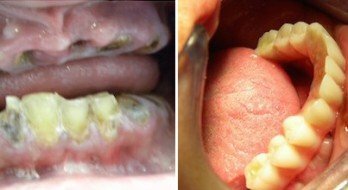 This technique replaces missing teeth with a complete dental bridge, fixed by 4 titanium implantes into the jawbone. 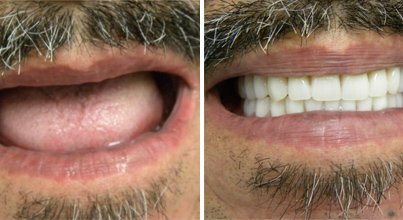 Our most popular treatment in Dental Solutions, the All-On-4 is a technique that replaces missing teeth with a complete dental bridge, supported only with four titanium implants placed into the jawbone. 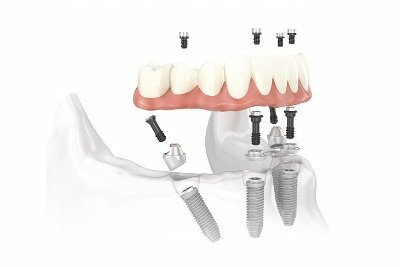 The biggest difference between dental implants and this technique, is that the latter requires only four implants to support the entire bridge. This reduces costs, avoids the need for bone grafts and its faster and more efficient. Fortunately for you, our resident doctors is one of the most knowledgable and experienced in this treatment: Xochipilli Bojorquez. 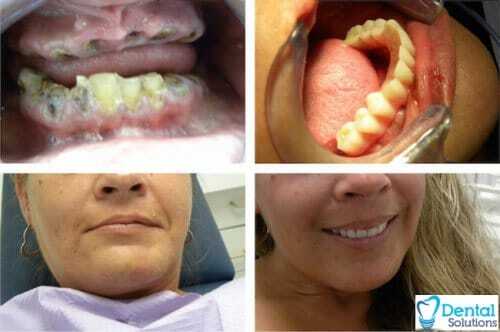 D.D.S Bojorquez was 2013 Mexico's #1 Dentist in the All-on-4 Treatment. 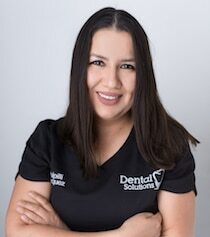 With over 8 years of experience, she has made a name for herself in by placing over 1,200 implants with one of the biggest clinic in Los Algodones. Her urge to learn made her attend multiple courses at prestigious universities, such as Harvard School of Dental Medicine, and courses taught by world renowned leaders in the implant industry such as Nobel biocare in Spain and Korea. She also attended a course at the Malo clinic, the developers of the all on 4 treatment, in Portugal. Now she has her own dental clinic and is accepting new patients. Schedule an appointment. First consultation it's free! 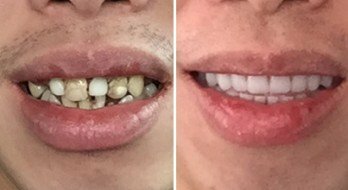 The all-on-four procedure was a great decision for my mouth. The very thought of going to the dentist scares me, Dr. Bojorquez after my exam was honest and told me that I really only had 3 to 4 teeth that were not too bad. I would suggest everybody who is thinking about doing this to be courageous enough to do it. 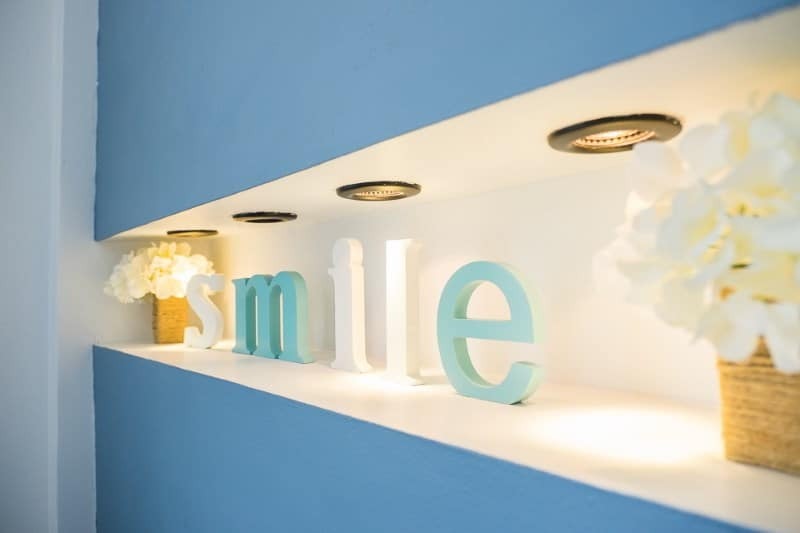 You will gain a beautiful smile, definitely the best dentists in Los Algodones, Thanks! I'm from Orlando, FL. I had all my teeth extracted and no pain whatsoever. I would certainly do it all over because now I can smile again. The doctor (Dr. Xochipilli) was very professional and friendly. Great dental clinicto have the All on 4 or All on 6 procedure in Los Algodones Mexico. Dr. Pilli Bojorquez is competent, welcoming and totally accommodating. Dentures did not work well for me. They did not fit comfortably, I underwent the All on 4 procedure. In the space of about 5 hours I had the 4 implant anchors in place, the teeth were completed and screwed into place. Implants have changed the quality of my life in so many ways.